This is an interdisciplinary (and inter-period) seminar, drawing on expertise from medieval studies, early modern studies, and beyond. The focus is on a consideration of “languages of . . . → Read More: When was early modernity? 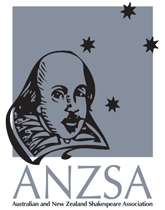 CFP: “Shakespeare in Global/Local Context”, Seoul, SOUTH KOREA, 1-2 November 2013. The Shakespeare Association of Korea invites papers exploring topics and issues of “Shakespeare in Global/Local Contexts” for its 2013 international conference to be held on the occasion of the 50th anniversary of its foundation and will run from 1-2 November 2013 at Seoul National University. The conference aims to bring together scholars, actors, directors, . . . → Read More: CFP: “Shakespeare in Global/Local Context”, Seoul, SOUTH KOREA, 1-2 November 2013.